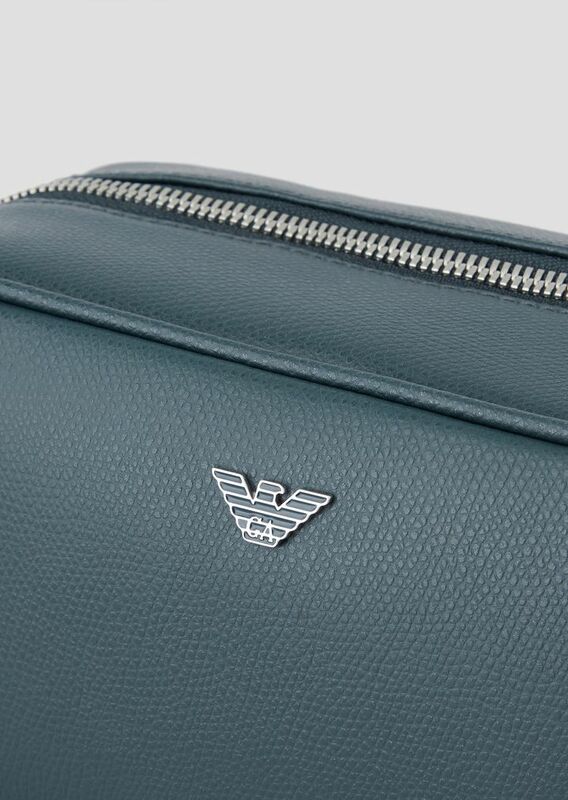 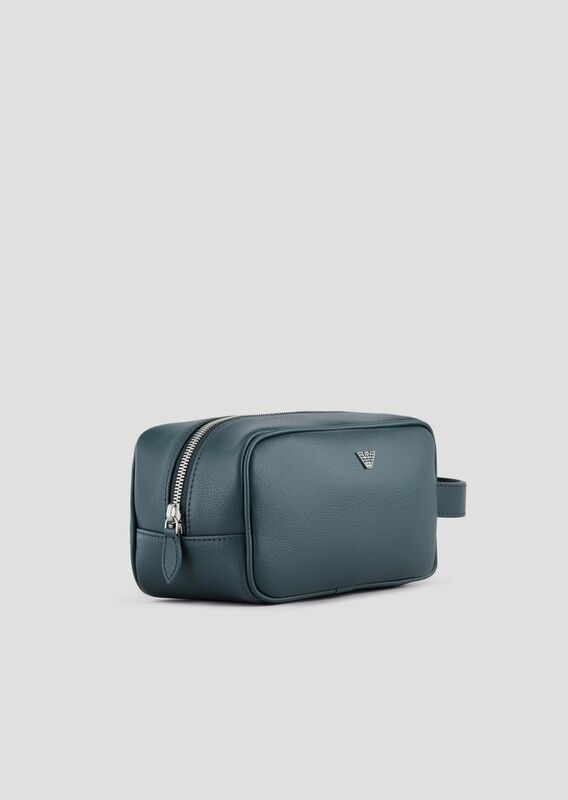 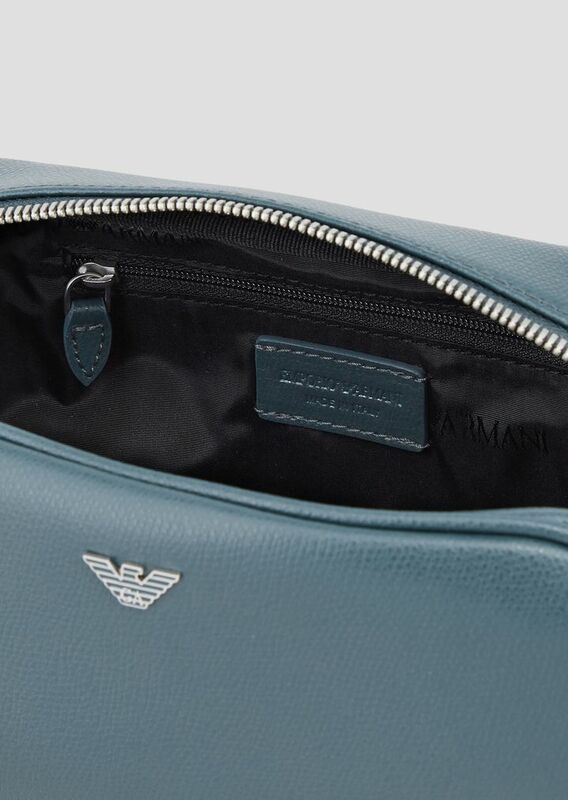 A luxurious accessory, perfect for holding all your men's grooming essentials. 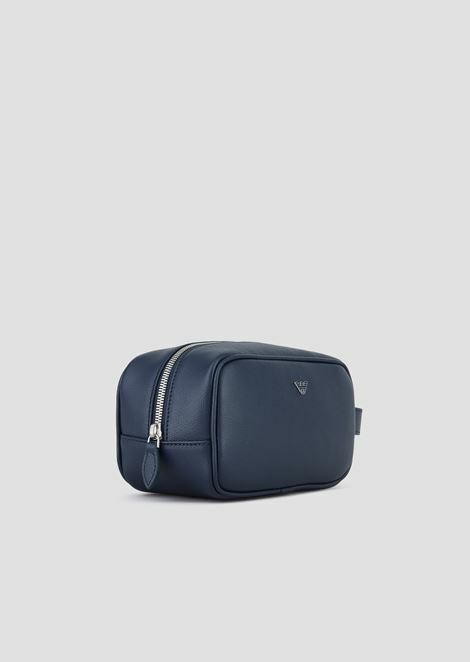 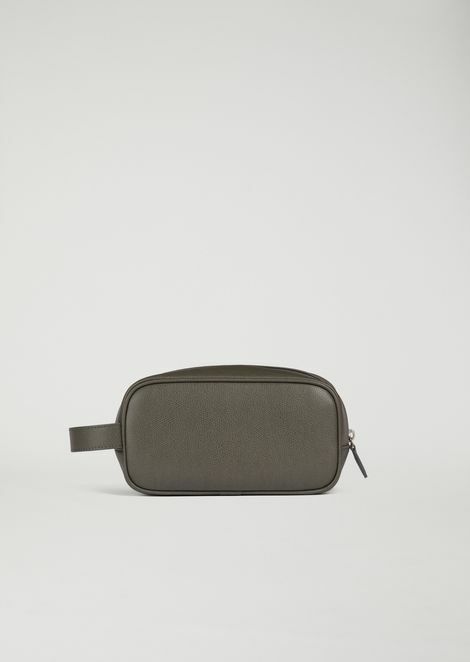 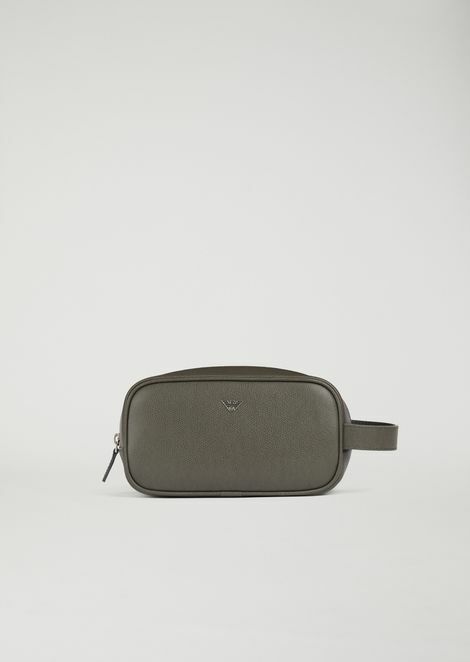 Small wash bag in boarded printed calfskin with an understated, practical design. 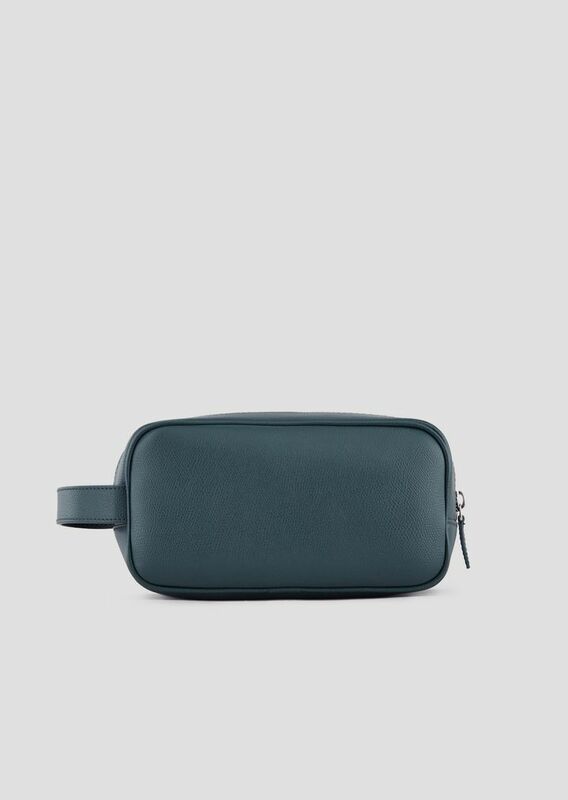 The piece features a side handle and zip closure. Dimensions: 22 x 12 x 10 cm. 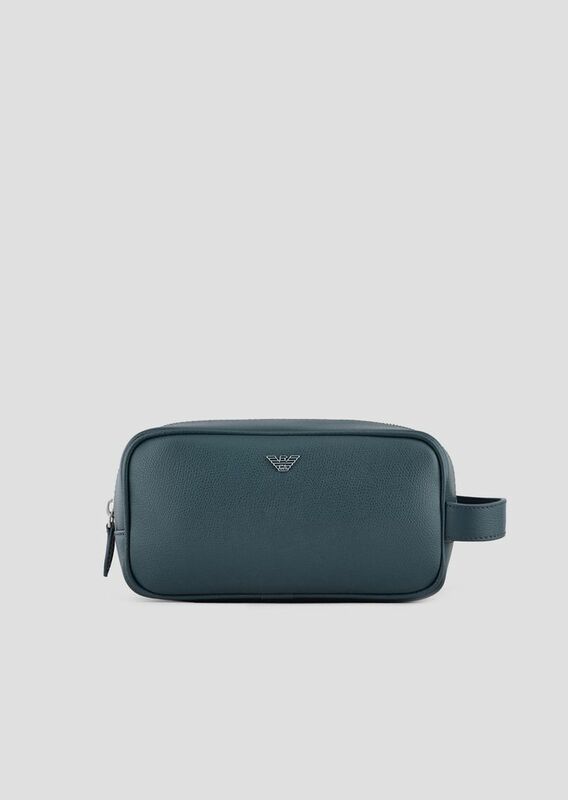 / 8.6 x 4.7 x 3.9 in.